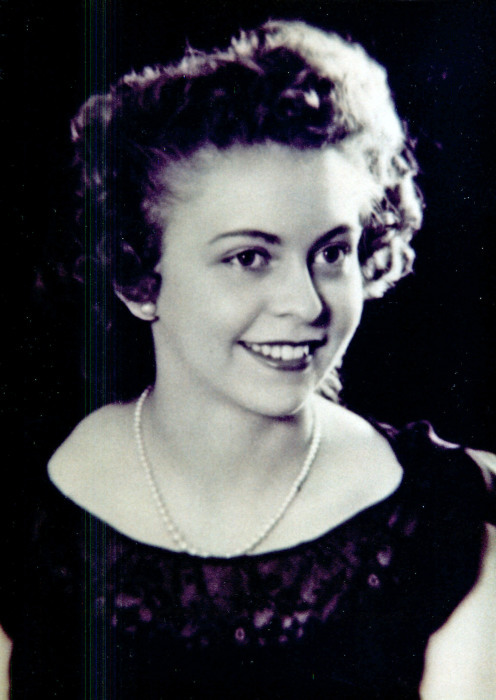 Georgia Lavon Bakaric passed away peacefully, February 5, 2019 in the home of her daughter in Morgan, Utah at the age of 91. Lavon was born in McGill, Nevada, September 22, 1927 to Blanche Lavone Willes and George Manuel Tate. She lived in McGill the majority of her life and attended White Pine County Schools. During her senior year, she was able to live with her beloved sister Jean Syme during WWII and graduated high school in Portland, Oregon. Lavon worked in the power plant of Kennecott Copper Nevada Mines. At this time, she met and married Steve Bakaric. Like Steve, she believed in working hard and being productive every day. As her children got older, she returned to work at Kennecott until retirement. Lavon was a kind soul and found joy in the simple things of life. Her greatest attribute was genuine humility. She had a quiet and unassuming manner. Lavon was a woman of faith who loved her Heavenly Father. Lavon was a dedicated wife, mother, and grandmother. She was preceded in death by her husband Steve Bakaric, December 6, 2016. She is survived by her four children: Jean Elaine Mickelson, Sandy, Utah, Jerri (Dean) Belliston, Morgan, Utah, John Bakaric, Murray, Utah, and Paul (Catherine) Bakaric, Ely, Nevada. She is also survived by ten grandchildren and 26 great grandchildren. Funeral services will be held Tuesday, February 12, 2019 at 11:00 a.m. at the McGill Church of Jesus Christ of Latter-day Saints Chapel, McGill, NV. A viewing will be held one hour prior to the funeral services. Interment will be in the Ely City Cemetery.